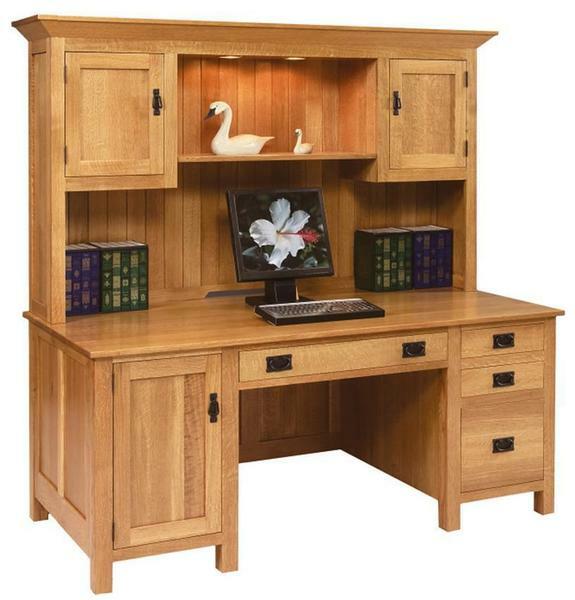 Handcrafted in the popular mission style, this beautiful computer desk with hutch top is a great choice for any home office or company work space. The flat door & drawer panels, along with the straight lines & molding are what defines the mission style, and what makes this desk such an amazing piece of solid wood office furniture. Shown in premium Quarter Sawn White Oak wood with a natural finish, this desk really showcases the quality of the wood and offers one possibility for your personal desk order. With a generous selection of wood and finish options available, there are endless possibilities for you to customize the look of your new office furniture.